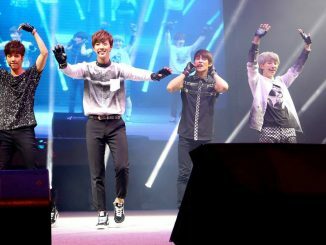 HomeKorean FestivalK-POP Fiesta presents Annyeong K-POP Festival Party 2012! Win VIP tickets to the Festival now! 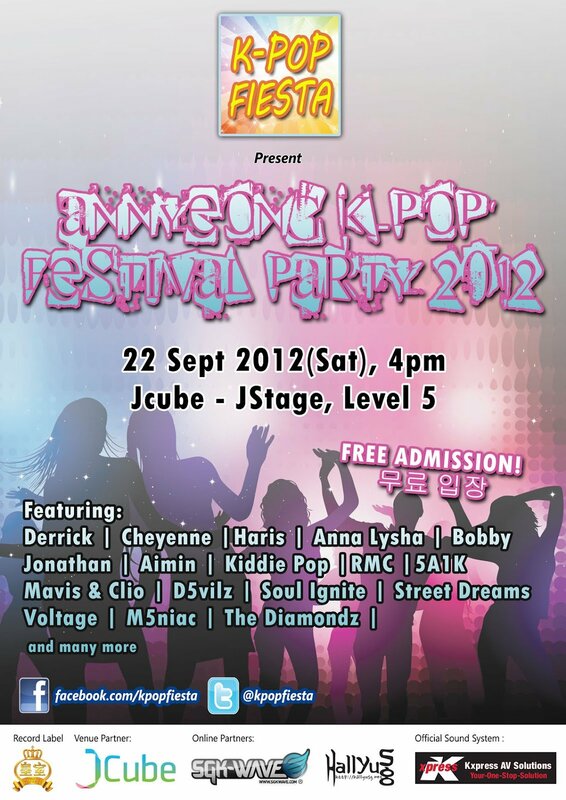 Proudly presented by K-POP Fiesta, Annyeong K-POP Festival Party 2012 is set to take place at Jcube (JStage) on 22nd September 2012 with an exciting lineup of performances from several performers. It will be a free-standing event and the best part is, everyone is welcome to join in the fun! Spread the word and invite your friends and family to the free admission party! HallyuSG is proud to be an online partner for the festival and we’ll be giving away 10 pairs of VIP tickets (Seated) to our awesome readers! Simply like K-POP Fiesta & HallyuSG on facebook, share this post on your twitter/facebook and comment under this post with your Name & Email Address! We’ll be picking 10 lucky winners who will walk away with the VIP tickets to the festival. For more details on Annyeong K-POP Festival Party 2012, be sure to check out K-POP Fiesta on facebook!